Open Data - Blessing or a Nightmare? According to the open data movement, some data should be available to everyone with no restrictions. Supporters of this theory argue that it empowers citizens, helps small businesses and claims that "data belongs to the human race". Many cities follow and practice the idea of open data, providing the public with access to data concerning the government and public services. Warsaw joined this trend a while ago by encouraging different organisations to find ways how to leverage such data. Imagine how much you can achieve having comprehensive information about your city. For instance, knowing a location of all tourist attractions, monuments, museums and cultural spots you can design an app that would plan a city tour, based on the preferences. Or having information about bike paths, city bike stations and self-service bike repair you can build a universal application for cyclists. Countless benefits implicate challenges for the City of Warsaw. Comprehensive information creates opportunities to solve nagging problems of the residents. However, to achieve this it’s necessary to focus on people, their needs and pains, not the officials. On top of that, such vast amount of data requires an efficient system to organise it. low awareness of benefits coming from a unified network of databases. The municipality also wanted to create a digital product that would widely use data from different areas to improve the lives of Warsaw residents. Developing, execution and active promotion of such project could become a driving force for the complex process of opening the city’s data. Netguru decided to help them achieve these goals. 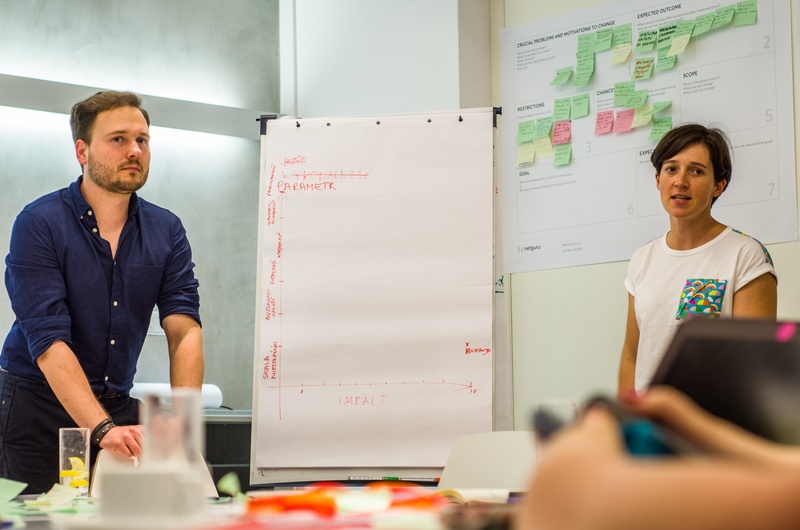 We offered to run Product Design Sprint (PDS), a workshop that we have developed to help clients answer critical business questions and reach goals within a short period. It has a wide range of practical uses and seemed to be the perfect way to address the main issues with open sources of data. PDS sparks creativity and facilitates looking at the problem from different perspectives. 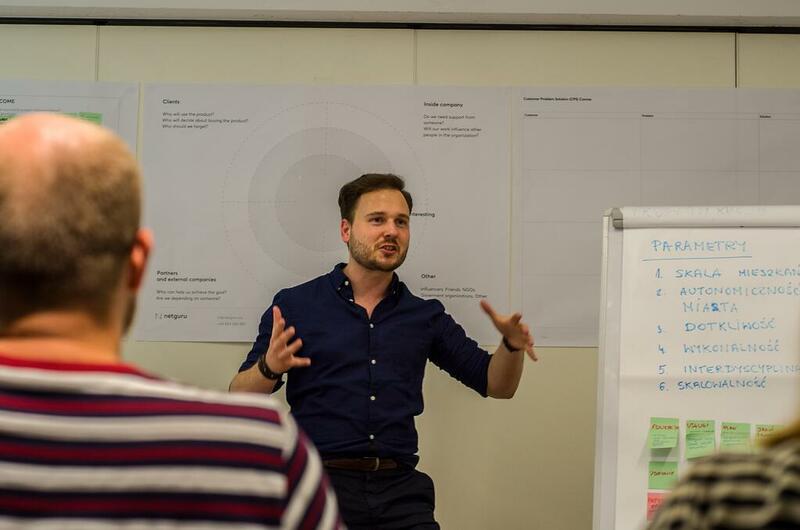 Jakub Kudelski, Netguru Product Designer who took part in the PDS, confirms that colliding different views on public data and its potential is a valuable experience. 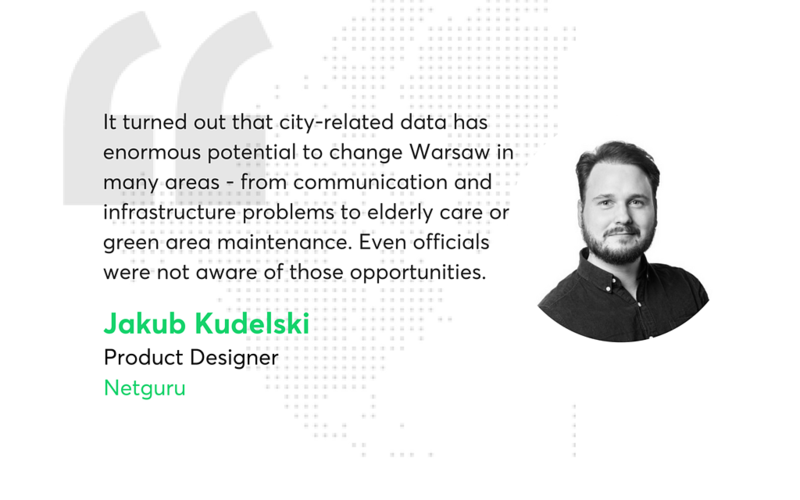 It turned out that city-related data has enormous potential to change Warsaw in many areas - from communication and infrastructure problems to elderly care or green area maintenance. Even officials were not aware of those opportunities. Developing an operational strategy to efficiently and systematically organise and share databases. Sketching a concept of a digital product that will leverage open data in an attractive way and solve the real problems of Warsaw residents. 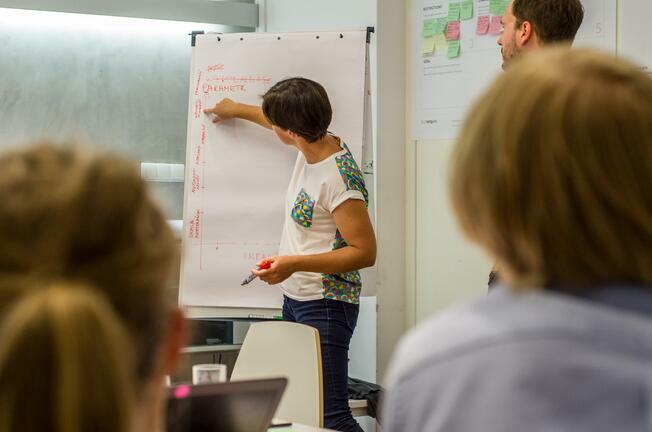 A Project Manager, a Product Designer, City representatives and NGO workers were involved in the workshops, which enabled us to obtain the full picture of distinct problems. Three days of heated debates, practical exercises and brainstorming resulted in a new project that we hope we’ll soon be able to put in practice. Apart from building a system to organise, manage and open access to data, the group worked on a digital product that would broadly leverage the city data and solve an essential problem that touches many residents. 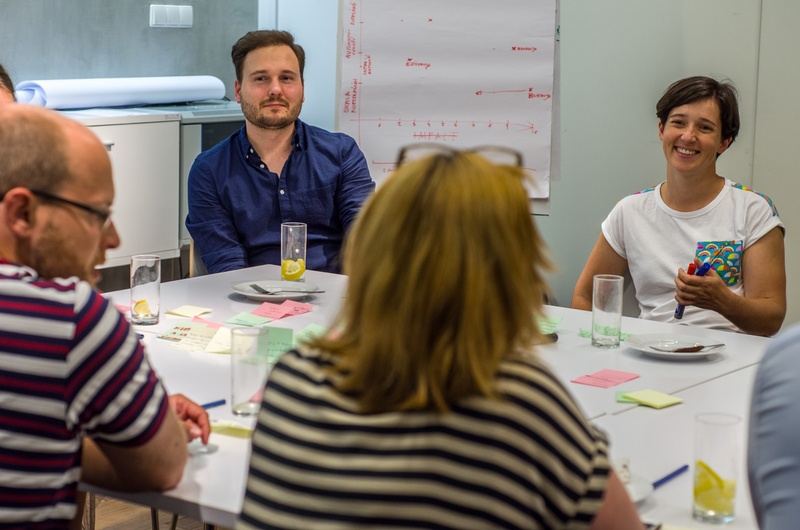 A substantial part of our workshops involved a brainstorming session to devise as many ideas as possible for products that would use public data and at the same time would be interesting for Warsaw residents. - said Agnieszka Stanisławska, Project Manager at Netguru. When choosing the final solution we followed the parameters which we specified together keeping in mind the needs of residents and potential for project development in the future. The process of selection was divided into two phases. In the first one, we singled out two parameters related to the problem: scale and arduousness. - she adds. The scale is meant to evaluate how many people we can help with our project, while arduousness indicates how serious the problem or group of problems is. Arduousness enables us to look at a problem from a resident’s perspective. Our main goal is to improve lives of inhabitants based on individual needs. - Agnieszka explains. feasibility - resources (human, time, financial) needed to project execution. High scalability implies capability to share new data within a chosen project. Thanks to that we don’t restrict the solution to one need, so we’ll be able to include further public data in the product. It’s also important to choose the data that is easily accessible and diverse. We want to touch many areas of living in Warsaw, but we need to consider the quality of particular databases. - Agnieszka said. The project should also regard practical concerns such as budget and time constraints. It’s fairly simple to brainstorm ideas for products, but if we never bring it into effect, all these efforts go down the drain. In the final part of the workshops, participants were set to choose the ultimate project. They first identified areas such as health, public transportation or infrastructure and then come up with dozens of potential problems we could solve with a digital product. What to do in a spare time? The product would collect and present information about cultural sites, sports venues, green areas and interesting activities nearby, allowing users would to rate offers. Where to park in the city? The application would show parking space available nearby in real time. What is the quality of life in Warsaw? The product would evaluate distinct areas in the city regarding public transportation, the quality of air, noise level, accessibility to clinics, hospitals, schools and many other public facilities. Finally, participants evaluated each project in terms of seven specified parameters and singled out the ultimate solution that would look at the problem from different perspectives. The third project turned out to touch many areas of life and concern distinct social groups: people looking to rent or buy a flat, those who plan to set up a business, investors, community activists and even City Hall representatives. It allows for a whole group of problems to be solved as opposed to just one. It is useful for many stakeholders: residents (current and potential), businesses, NGOs and the municipality. It has endless potential to scale. On the one hand, it is interdisciplinary, on the other, it doesn’t require involvement of all departments at the same time, so project development can be spread out in time. It can be built as both a website platform, or a mobile application. The project can be executed with relatively low resources. A substantial part of data necessary to kick-off the project is aggregated and ready to process. The City of Warsaw is on its way to bringing the project into existence. It is definitely something that will help many groups of residents. In the following weeks, the city needs to specify their budget and time constraints, so the team can estimate the project and plan first development sprints. I believe that the chosen project will be soon brought into effect and start a new, better practice for working with open data. There is a bunch of eager individuals and organisations who can benefit from public access to data in their own projects - both in NGOs and commercial entities. - Jakub sums up.